This sign is for Beacon Coal. The sign’s colors are black, yellow, red, and white. 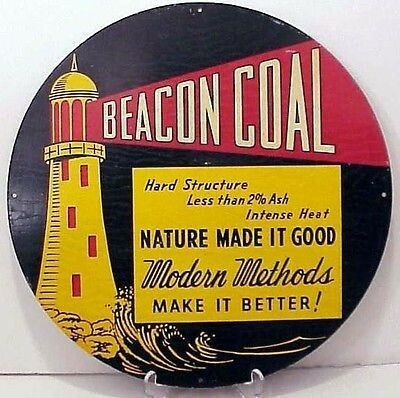 The text on the sign reads: Beacon Coal hard structure less than 2% ash intense heat, nature made it good modern methods make it better!. The sign shows a lighthouse to the left with text on the right.